Contestant selects three horses and places a mythical $2 Win bet on each horse selected, a mythical $1 Exacta Box bet on the three selections, and a mythical $0.50 Trifecta Box bet on the three selections. The Contestant or Contestants with the largest Bankroll for each race will receive one (1) entry into the Sweepstakes. In addition, the Contestant or Contestants with the largest total Bankroll at the end of the day will win 50,000 NYRA Bets points, which are redeemable for use by NYRA Bets account. 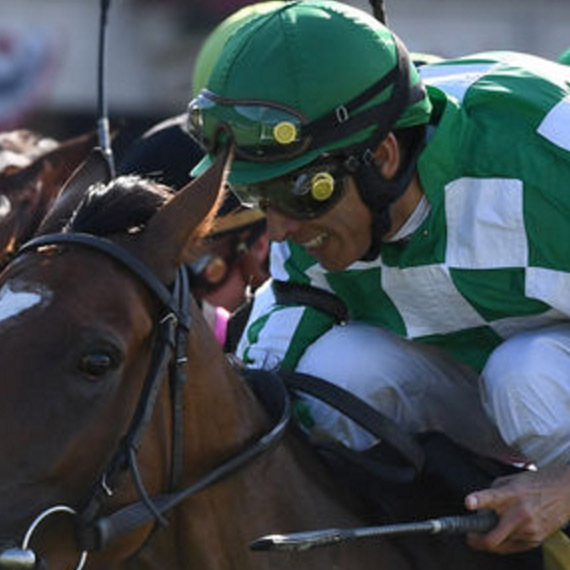 Grand Prize: One (1) entrant into the Sweepstakes will win a VIP Package to Belmont Stakes Day 2019, which will include one $500 airfare credit, two (2) seats, food and beverage, with a total value of up to $1,500 (the “Grand Prize”). Prize: One (1) entrant into the Sweepstakes will win a VIP Package to Belmont Stakes Day 2019, which will include one $500 airfare credit, two (2) seats, food and beverage, with a total value of up to $1,500 (the “Grand Prize”).